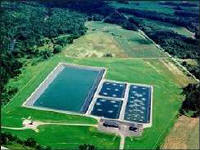 astewater lagoons have been used as a process for wastewater treatment for centuries. 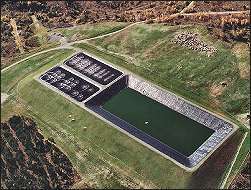 In the 1920's artificial ponds were designed and constructed to receive and stabilize wastewater. 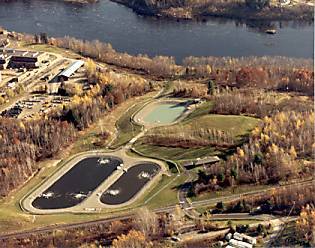 By 1950, the use of ponds had become recognized as an economical wastewater treatment method for small municipalities and industries. As of 1980, approximately 7,000 waste stabilization lagoons were in use in the U.S. Today, one third of all secondary wastewater treatment facilities include a pond system of one type or another. 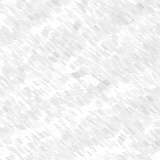 Of these, just over 90% are for flows 1 MGD or less. 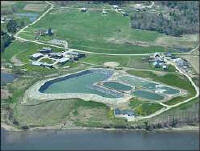 But ponds can be used for larger cities for wastewater treatment as well. Some of the largest pond systems in this country are in Northern California, serving such cities as Sunnyvale (pop. 105,000), Modesto (pop. 150,000), Napa (pop. 175,000), and Stockton (pop. 275,000).